The Science of Cloud ERP Utilization | ERP the Right Way! Great article. 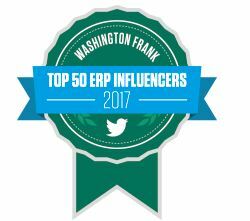 I have also been implementing ERP systems for over 25 years as an independent and I had hoped the movement from on premise to cloud would facilitate a more holistic, partnership approach on the part of the Vendor, which would concentrate more on helping the customer realistically manage the business change. I too see this as an incremental process based on current but ever evolving circumstance. However, if anything, I am seeing the opposite effect, where cloud delivery has been accompanied by an homogenised approach to implementation focused only on the initial deployment. Will be interested to see further feedback. Great!!!! I like this blog bcoz all information about ERPcloud is included. Pingback: ERP Utilization Series: Automating ERP Utilization Guidance | ERP the Right Way!